Judah pleas with Joseph to free Benjamin. He offers himself as a replacement. Joseph reveals himself to his brothers and forgives them for selling him into slavery. Jacob learns that his son, Joseph is still alive and goes to Egypt. Pharaoh permits Joseph’s family to live in Goshen. 24) And he [Joseph] sent his brothers off and as they left he said to them, ‘Don’t quarrel on the way.’ 25) So they went up from Egypt and came to their father, Jacob, in yhe land of Canaan. 26) And told him thus, ‘Joseph is still alive; he is a ruler over the land of Egypt.’ His [Jacob’s] heart fluttered because he couldn’t believe them (45:24-26). Genesis Rabbah 94:2 describes the quarrel between the brothers as an argument among them about whether they should rush home to their father or not. The Midrash suggests they not rush because the pace has been determined [by God] so that they will enter towns during the daylight hours. Traveling at night would be dangerous. 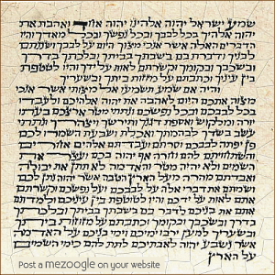 The Kotzker reminds us that the preposition bet that is placed in front of the noun, derech (“way”) does not mean “in.” Sometimes it can be translated as “with.” Therefore ba-derech can be read as “with the say.” Therefore, acknowledge the divine way set before us, which we are supposed to accomplish. The route can be just as important as the destination.